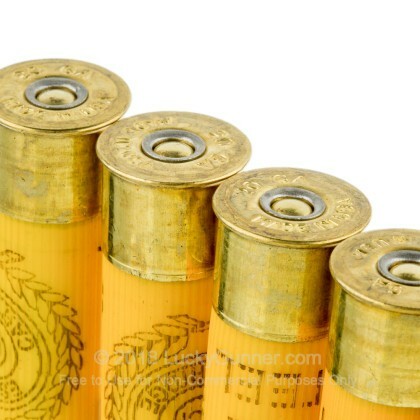 The 20 gauge has been around for years and years and is one of the best firearms in the world. 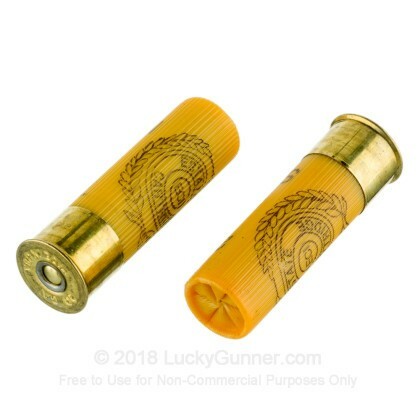 Whether you are looking to take out big game, small game, or spend a lot of time at the range, this phenomenal shotgun is exactly what you are looking for. 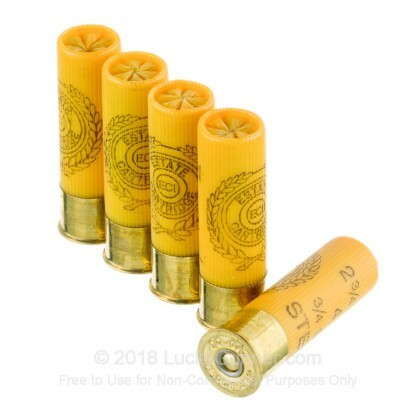 Although it is not as powerful as the 12 gauge, it makes up for that deficiency in its significantly lower recoil, which will keep you shooting all day. 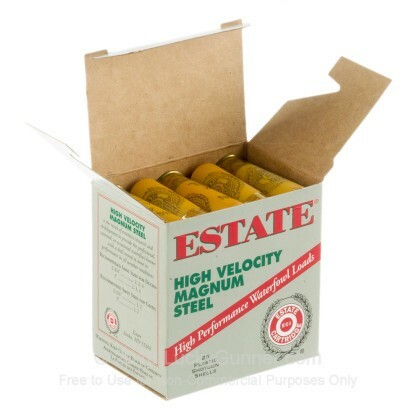 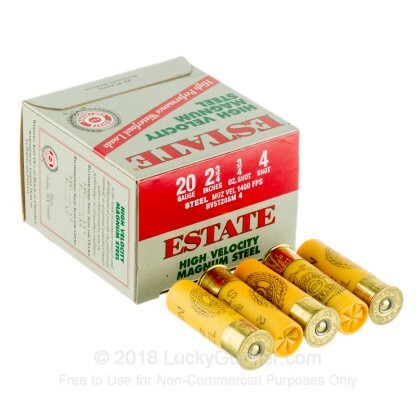 As the longtime leader in shotgun ammunition production, distribution, and marketing, Estate Cartridge is exactly the company you want to buy your shotgun ammo from. 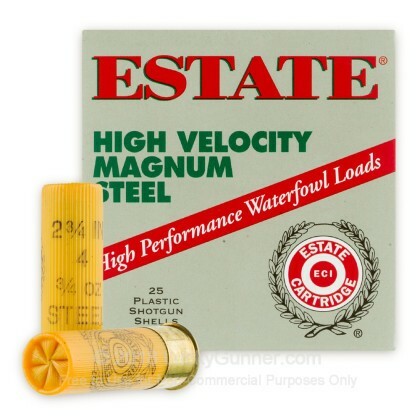 With their superior products, you won't have to worry about any performance issues. 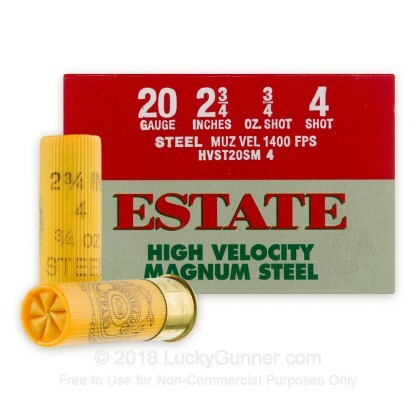 Firing at 1400 feet per second, these 2 3/4", 3/4 ounce, #4 steel shot, high velocity shells are designed specifically for taking out waterfowl, letting you take out those delectable birds with ease.